Why Concierge Services of Atlanta? Exciting things are happening at Concierge Services of Atlanta! Please click on the links below to view our Media Coverage and Press Releases. 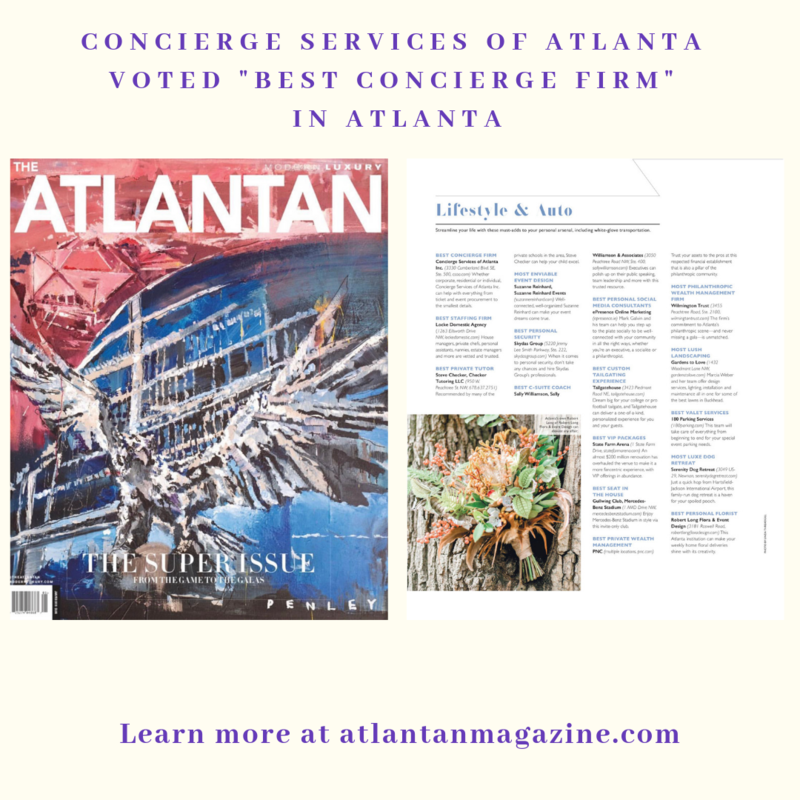 CSOA Named Best Concierge Firm in Atlanta: Whether corporate, residential or individual Concierge Services of Atlanta, Inc can help with everything from ticket and event procurement to the smallest details. 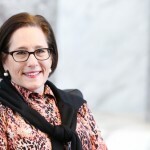 Penny in Style Blueprint: Penny Morriss was just starting her professional career when she found a job as a concierge at one of Atlanta’s premier office buildings. She didn’t know it then, but that first job was the cornerstone of her career as a leader in concierge services. 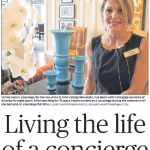 The Atlanta Journal Constitution : Living the Life of a Concierge: City dwellers enjoy the peace of mind, convenience of these extra perks. 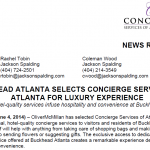 Oliver McMillan: OliverMcMillan has selected Concierge Services of Atlanta Inc. to provide personal, hotel-quality concierge services to visitors and residents of Buckhead Atlanta. Concierge staff will help with anything from taking care of shopping bags and making restaurant reservations, to sending flowers or suggesting gifts. The exclusive access to dedicated concierge service offered at Buckhead Atlanta creates a remarkable experience defined by comfort and convenience. Please direct all media inquiries to marketing@csoa.com.